We purchased our pre-owned (6 years old) Smooth CE 3.2 elliptical for less than a third of the original purchase price and are positively ecstatic about our decision. After a couple of things were tightened up (minor regular maintenance) this baby now works as good as the day it was first put together. Just can't get over how good it feels (very ergonomic), how sharp it looks, how quiet & smooth it operates, the varity of programs and resistance levels, and how sturdy/stable it is. If you are 5'10" or less you will be very impressed with the amazingly comfortable and pleasurable workout you will get on this unit. Our only complaint was the absence of a water bottle holder, so we went to a bike shop and bought one and attached it to the front center post, just beneath the console. PRESTO.....problem solved. Fun to use, great machine, I would highly recommend it to others. After reading all of the great reviews about the quality and customer service for Smooth products I decided to order a CE 3.6 elliptical trainer. I wish I was in a position to comment about how the machine actually works, but it hasn't arrived yet! When I ordered it right before Christmas I was warned that it might take as long as 3 weeks to arrive because of the holidays, but their estimate was very wrong. I wouldn't be so annoyed if I had been given any information, but every time I call the shipping company I get a different answer. They've been predicting it would arrive any day now for the past 2 weeks. Calling the Smooth customer service doesn't help - they now say that 5 weeks is typical for Canadian deliveries, which is definitely not what I was told when I ordered. Maybe it will be worth the wait - but as a warning to potential Canadian buyers, be ready to wait a month or two. I purchased my Smooth CE 7.4 on 12/26/2006 ,and it has been used in my basement gym on a regular basis since the first day it arrived. The first thing you notice is how heavy, and well constructed the elliptical is. I weigh 210 lbs, and my son weighs 245 lbs, and no matter how hard we push ourselves during a workout this machine remains rock steady. 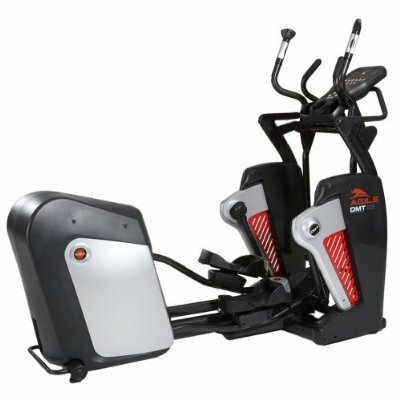 I have had friends come over that weigh in the 325 lbs range, and try the elliptical, and they are just absolutely amazed at how smooth, and steady this machine is. Everything about Smooth Fitness, and the CE 7.4 have totally impressed me. I have had one small issue with the dampers under the pedals getting a little weak, so I contacted Smooth Fitness in regards to this issue. I was thinking that maybe after 4 years of heavy use they might just tell me that they were sorry but that just happens over time. I was once again totally impressed with this company in the way they handled my issue. Not only were they very quick to respond to my email, Glenn at Smooth Fitness called me just to make sure there wasn't anything else that I needed, and he had the replacement parts sitting at my door within just a few days. 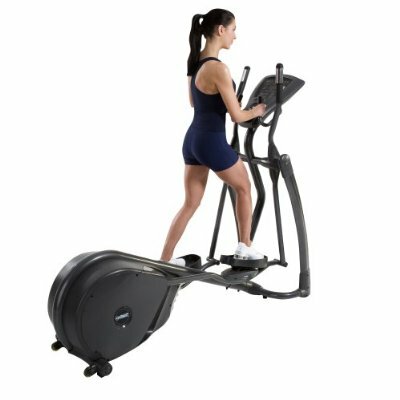 If you are serious about exercise and fitness and want a machine and a company that you can rely on for years to come, I highly recommend Smooth Fitness, and the CE 7.4 elliptical. 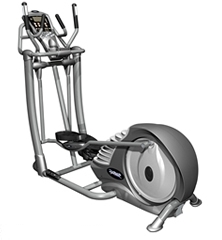 I am very disappointed that I purchased a Smooth Fitness product, the Smooth CE 7.4 elliptical trainer. Essentially I bought a commercial grade elliptical machine and paid very good money for it. Within three months of use it began squeaking even though I followed all the tightening recommendations that came with the machine instructions. I purchased the Smooth CE 7.4 after reading a review that said this particular design was generally free from problems. Then to top it off, the poor design is further exacerbated by non-responsive customer support. If I wanted a machine that performed like this I could have purchased something at half the price. As it is, instead of getting a good invigorating workout, I get a workout that is annoying and aggravating due to the incessant squeaking of the machine. The only way I work through it is to wear earphones with my iPod to drown out the noise. I contrast this purchase with one I made for my daughter over two years ago. In that case I purchased an elliptical machine--same price range--from Sole Fitness as a Christmas present. In over two years of constant use, my daughter has had absolutely no problems. I should have repeated that purchase for my machine; a lesson learned. 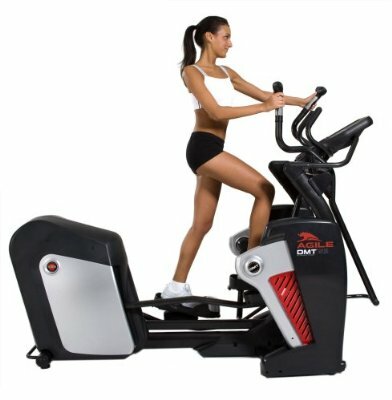 Well, I just recently purchased the Smooth Agile DMT ... and let me tell anyone looking to spend about $3000 on a machine: you cannot go wrong with this model. First of all, it has at level 12 a motion similar to a stair climber ... which let me tell you can get pretty tough to move when you raise the intensity. Next at around level 8 it's like an inclined elliptical ramp almost but instead of pushing your feet up and down your feet rotate like a natural step. At agile mode, level 1-4... its more like a ski machine than anything else. Definitely can feel the burn at all intensities. The Smooth Agile DMT is sturdy, quiet, and gives a burn. Only complaints are the size ... and I don't know how this elliptical measures distance in comparison to Precor machines at the gym ... cause at the gym I can do 5 miles in an hour while on this thing I only get 4 ... needless to say great investment if you can afford it. Precor has created a similar model called the AMT which retails for $9000 and can be purchased refurbished for $6000. Do the math ... also, this elliptical has the best warranty in the business. Any questions regarding the Smooth Agile DMT? Feel free to email me and I'm happy to answer what I know so far about it. By the way, I'm not a sales person ... in any way ... and please do not send me spam. Just giving an honest review. There are major differences in the motion between the Smooth Agile DMT vs. Precor EFX elliptical trainers. I tried the Precor EFX at the local gym and I find it very smooth and sturdy as well. It's also silent. But there is a totally different motion involved in the Precor EFX vs. the Smooth Agile DMT. The EFX is like a pushing motion in which you are constantly pushing your feet up and down a ramp. The Smooth Agile DMT is more like the actual movement when you are running. The high stepping aspect is like really high stepping and as you raise the intensity it truly delivers a drive. I was used to doing the Stairmaster, and 2 separate elliptical trainers a day for a total cardio leg workout. Now with this one machine, I get the same effects as I would from the three machines combined. The only negative I can see is the top of the foot pedals. They are made from plastic, and when you are training as hard and as fast as you can your foot may come out when slowing down and if you aren't paying attention you may crack it. Aside from that the machine works amazingly. I recommend the Smooth Agile DMT as a "Best Buy". I'll take this machine over any Precor EFX elliptical trainer that I have tried at the gym -- aside from the Precor AMT -- which I haven't been able to try, but have been told is almost identical.